If you are using WordPress for Joomla component or WordPress stand alone this is a MUST have plugin called JetPack. Over 16 enhancements that WordPress.com Jetpack offers to their users are now available. 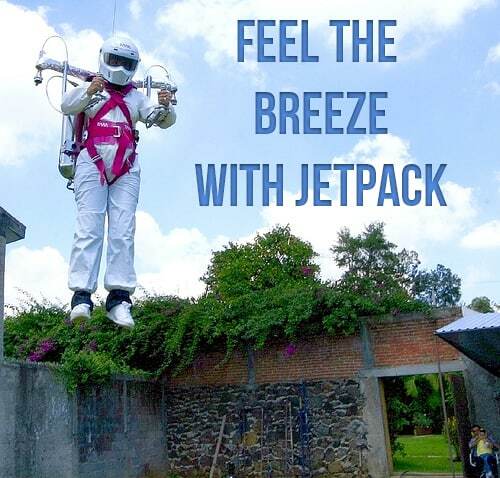 So what is JetPack and how will help your site? JetPack is created by WordPress.com and it supercharges your WordPress site with the awesome features available on WordPress.com. WordPress.com Stats – This is a powerful feature that shows you detailed analytic’s for your blog post. To us, this is HUGE for us to understand how we are conveying our message to our users. Jetpack Comments – This is super useful. In today’s world we have way to many accounts to remember. Who wants to create another one just to leave a comment. Jetpack comments lets your users use one of their existing social networking accounts to post a comment. Subscriptions – This is a great nifty tool to let you get those users that never come back – to come back. Imagine now when there’s a new post, those users are notified, return to your site and increase you inbound traffic. Very similar to what Feedburner and other services do. Carousel – We all love pictures. Pictures sell your products. So why not enhance your galleries? Sharing – Sharing is so important these days. It allows your audience to spread your message at a faster pace then you can. In return you create a larger audience as well as an engaging one. The following services are included: Twitter, Facebook, Reddit, StumbleUpon, PressThis, Digg, LinkedIn, Google +1, Print, and Email..
VaultPress – This is a paid service that gives you real-time backup of any changes, AS SOON as it happens. Now that is some quality backup. Mobile Theme – Now if you ever wanted to get a mobile theme FAST and looking good. This is it. Check out our blog on your mobile phone to see it in action. Easy configurations. Gravatar Hovercards – A nice way to enhance your Gravatar. Contact Form – This is a sweet feature to give you the ability to add a contact form RIGHT in your post. Instead of linking them to another page get them to fill out the form right away. Shortcode Embeds – Expands yours capabilities to embed more content into your post. Custom CSS – This has not been tested by us. But this gives you the ability to track your changes for CSS updates. We will post an update once we test it completely. Beautiful Math – Well we are not a math class but this surely will come in handy for those school websites that need to go into detail about math problems. Extra Sidebar Widgets – This enhances your sidebar by adding additional features such as RSS links widget, twitter widget, and an image widget. Enhanced Distribution – This feature ALONE should want you to install JetPack. This sends your content out to many different search engines. Who wouldn’t want more exposure. I know we do. So do yourself a favor and get this plugin. You will truly enjoy the results you get from this amazing plugin. This entry was posted in 'corePHP' Products and tagged blog, wordpress on October 18, 2012 by The Core Team. Thank you for your post that nice easy to read. Your web-site has a lot of good topics contents, I would not fail to trace the address of your site my friend(s) and visit regularly. Please send a support ticket to support @ corephp.com if you are experiencing issues with our site. We will be glad to assist and make sure you are visiting our site at the optimal performance you should be receiving.